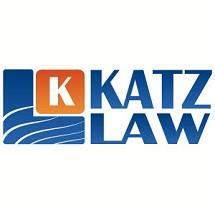 Katz Law proudly represents injured victims who have been injured by the negligence of others. We aggressively represent clients in matters concerning car, truck, and motorcycle accidents, dangerous products, premises liability, wrongful death, and those who have been injured at work on the river or in river-related employment. Our firm also handles some of the most high profile divorce, domestic relations, and family law matters in the region. We know that a serious auto accident or river injury can leave you permanently disabled and suffering from constant pain. A divorce can turn your life upside down and create tremendous anxiety and economic insecurity for you and your family. When you contact our firm, you will speak to and meet with a compassionate, experienced lawyer who will patiently answer all of your questions in a free initial consultation. We are purposefully a boutique law firm so that we can devote individualized attention to each case that we accept. Once we accept a case, we gather information about your specific situation and develop a trial strategy to provide the best result for your unique case. We understand that each client and each case is different, and that is why you will meet with the lawyer who will try your case - not an intake person- to develop your trial strategy. We recognize that challenging insurance companies, and large towboat and barge companies may seem like a daunting task. But our firm has successfully pursued claims on behalf of injured individuals, achieving multiple seven-figure recoveries on behalf of our clients. We have learned that in order to achieve the best results for our clients, insurance companies and defense lawyers must respect our willingness to take a case to trial when it is in our client's best interest to do so. Lawyers who do not try cases simply cannot achieve the best results for their clients, and for that reason, we prepare each and every case for trial. We are located in Paducah, Kentucky, on the banks of the Ohio River, near its confluence with the Mississippi River. Paducah is recognized as the hub of the inland river system in the United States, and is home to many towboat and barge companies. We have proudly represented hundreds of deck hands, mates, captains, engineers, cooks and dockworkers, and their families, from all over the region, who have been injured, or killed, while working on the river. Through the years, we have been honored to represent many seaman, and their loved ones, who are called to this most dangerous profession.